CARO.ca | CARING ABOUT RESULTS, OBVIOUSLY. Full service Canadian water quality chemistry specialists. Full service soil, sediment and compost analysis with industry leading detection limits. #1 Food Quality laboratory in Canada testing fruits, vegetables and honey for chemical residues. Industry leading Air Quality Testing including Metals, PAHs, VOCs, Stack Emissions, Asbestos and more. CARO Analytical Services is an industry leading Canadian based, full service environmental laboratory that provides testing services to public and private clients throughout the world. In operation for over 30 years, CARO specializes in providing chemical analysis, microbiological analysis, food analysis, and contaminated site testing of soil vapour, drinking water, wastewater, water, vegetation, tissue, soil and sediments. CARO is a group of Charismatic Scientists Driven to Make the World Safer and Healthier and as such clean water, soil, air, food and environment is important to us. With our clients, every day we are working to make the world a safer and healthier place for all. CARO is accredited by the Canadian Association for Laboratory Accreditation (CALA) to ISO17025 for specific tests listed in the scope of accreditation approved by CALA. The CARO team are active leaders on various industry organizations and leaders in research in partnership with Universities and others in cutting edge science. CARO's client base ranges from health authorities, public utilities, government ministries, consultants, industry, businesses to private individuals. Our highly trained staff of chemists, microbiologists, technologists and client service professionals have the expertise and experience to handle not only routine tests, but also specialized analyses to suit all our client needs. Water quality specialists including Metals, Bacteria, Pesticides, Drugs, Hormones, Hydrocarbons, Drinking Water Parameters and more. Soil analysis for Metals, Hydrocarbons, Volatiles, PAHs, Phenols, Glycols, Pesticides, PCBs, Bacteria, Nutrients, BART Testing and more. Food quality testing for Pesticides, Neonicotinoids, Drugs, Hormones, Antibiotics, Yeast, Mould, Coliforms, Water Activity, E.Coli, Salmonella, pH, and more. Asbestos, Concrete, Stack Testing, Swabs, Tissue, Sediment, Waste Discharge Permits, Equipment Rentals, Sampling Supplies, Well Water Testing, and more. I have been working with CARO over the past 8 months and [our CARO Account Manager] has been extremely attentive, responsive, and helpful. The best service from any lab I have received over the past year (especially on the back end). I switched to CARO many months ago and have not regretted it. CARO staff seem more organized than the previous lab I dealt with. I also really enjoy getting coolers that have little surprises inside (just received Halloween socks). Simple, inexpensive, and very thoughtful. I am sure I am not the only one that appreciates the little gestures. All of you managed to make receiving sample bottles fun. I can't wait to see what is inside the cooler next time. Canadian Environmental and Food Testing Laboratory. 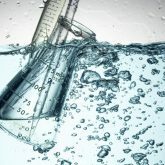 This analysis will detect the presence of bacteria in water. Check out our tests on Store.caro.ca. Can’t find the test you need? Reach out and make a Custom Order Request! Our team will be happy to assist you. If you don't see a job below that looks like a fit but you are really interested in joining our team, please send us an email and tell us why we should hire you! We are always looking for outstanding individuals to add to our growing organization.